Speaking in a Monday meeting with Díaz-Canel in New York, Rouhani said the Iranian and Cuban people’s resistance against the United States reflects the fact that the two great nations pursue the same ideals. The US government has violated its agreements with Cuba in recent years just like what it did to other treaties including the Iran nuclear deal, said Rouhani, who is in New York to attend the annual UN General Assembly. He further noted that terrorist groups these days are unfortunately backed by countries that claim to be fighting terrorism. Rouhani stressed that the fight against terrorism is one of the most important and common goals of Tehran and Havana. He emphasised that the Islamic Republic of Iran is looking for more developed and closer relations with Cuba, highlighting that there is good cooperation between the two countries in various sectors, including pharmaceutical technologies and vaccine production, but the ties still need to be expanded. “There are many capacities in the economic, scientific and technological fields in Iran and Cuba that must be exploited to further the welfare and expand Tehran-Havana ties,” stated Rouhani. 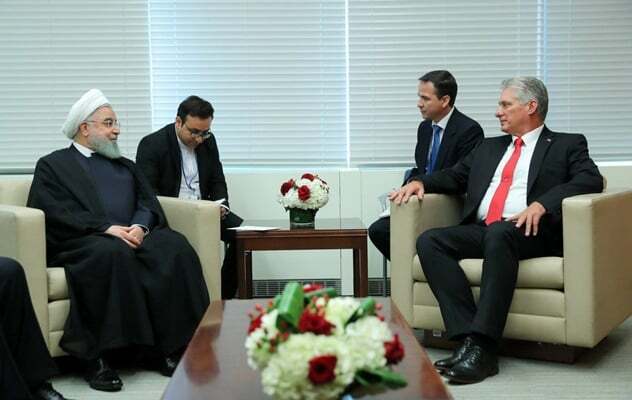 He also congratulated Díaz-Canel on his election as the Cuban president, and appreciated the sympathy offered by the Cuban nation and government to the Iranian people regarding Ahvaz terrorist attack. For his part, Díaz-Canel extended the condolences and sympathy of the Cuban government and people over the Ahvaz terrorist attack, emphasising the need for development of Tehran-Havana’s all-inclusive relations. He further praised the intelligence and decisiveness of the Iranian government in talks with the P5+1 saying that the United States’ withdrawal is a great danger to international treaties and regional security. 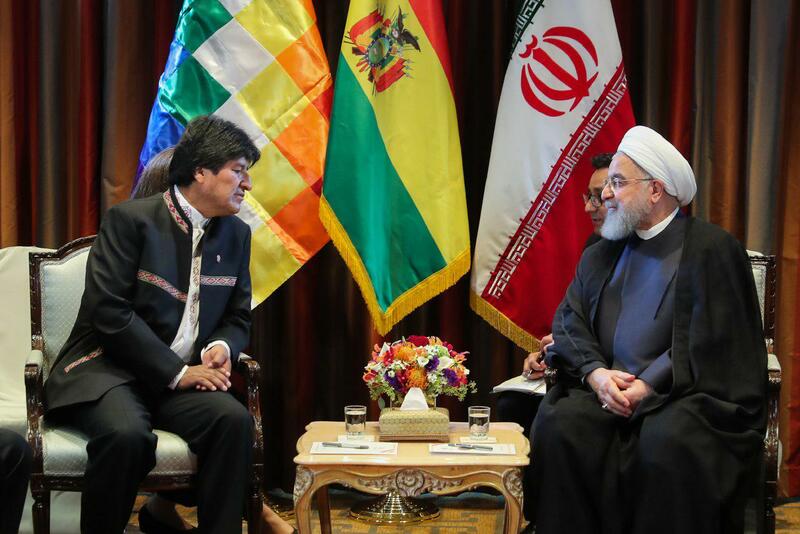 Also in a meeting with his Bolivian counterpart Evo Morales, Rouhani called on the global community to stand up to Washington’s violations of international agreements and regulations. Rouhani emphasized the need for both the Iranian and Bolivian nations to put up resistance to American interventionism and unilateralism. “Today, the international community, with the exception of a few countries, has adopted a decisive stance on the US move, and we should try to show that those who breach international laws will never have the approval of the world’s public opinion,” he added. 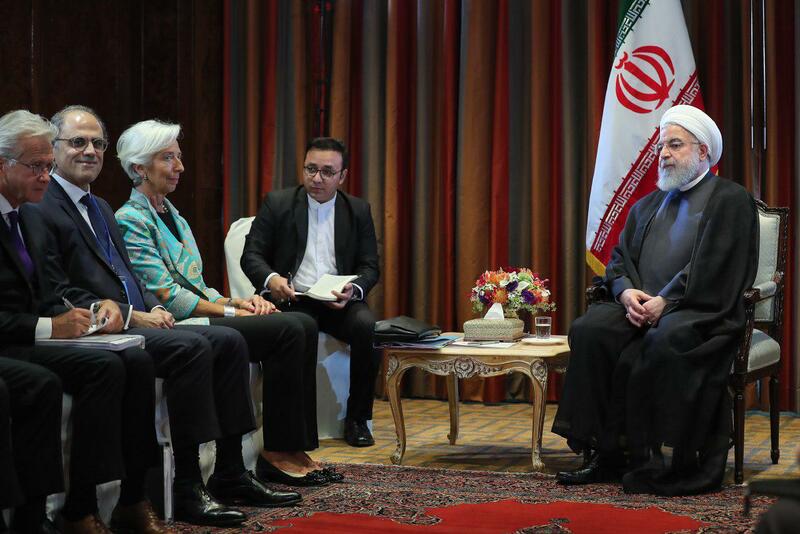 In a meeting with Christine Lagarde, managing director and chairwoman of the International Monetary Fund (IMF), Rouhani stressed that the organization’s main responsibility is to protect its members against banking and monetary sanctions. “The IMF should demonstrate that it can play a role in [protecting] the economic stability of a member, and I hope that it can take a positive step in this regard,” he said. Lagarde, for her part, gave assurances that the IMF would continue its cooperation with Iran. 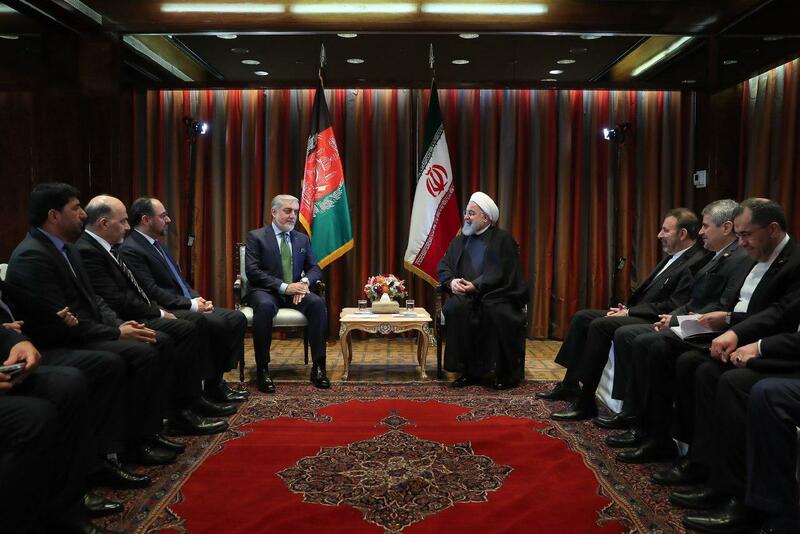 Rouhani also stressed the necessity of fighting terrorism in a meeting with Afghanistan’s Chief Executive Abdullah Abdullah. He referred to the recent deadly terrorist attack in the Iranian city of Ahvaz, saying the incident underlined the need for unity in the fight against terrorism. “Many terrorist groups in the region have either been created by or have the support of America,” he said. Rouhani left Tehran for New York on Sunday to attend the 73rd UN General Assembly. He will address the United Nations General Assembly on Tuesday.